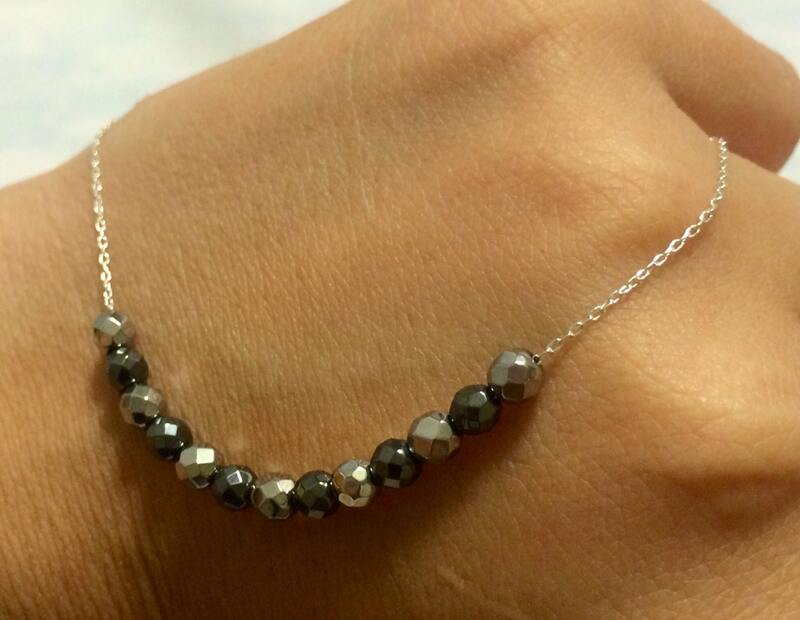 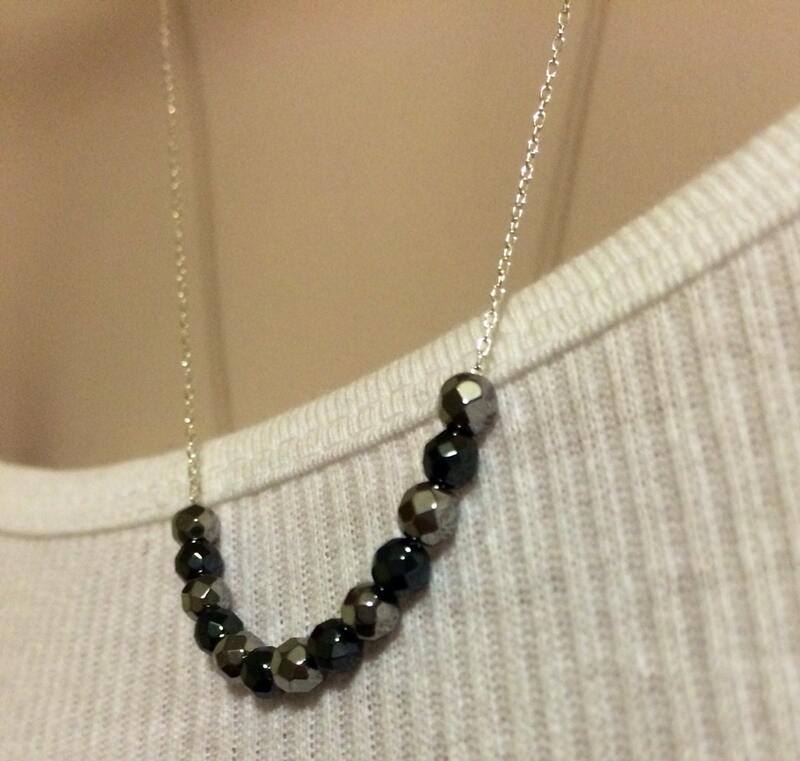 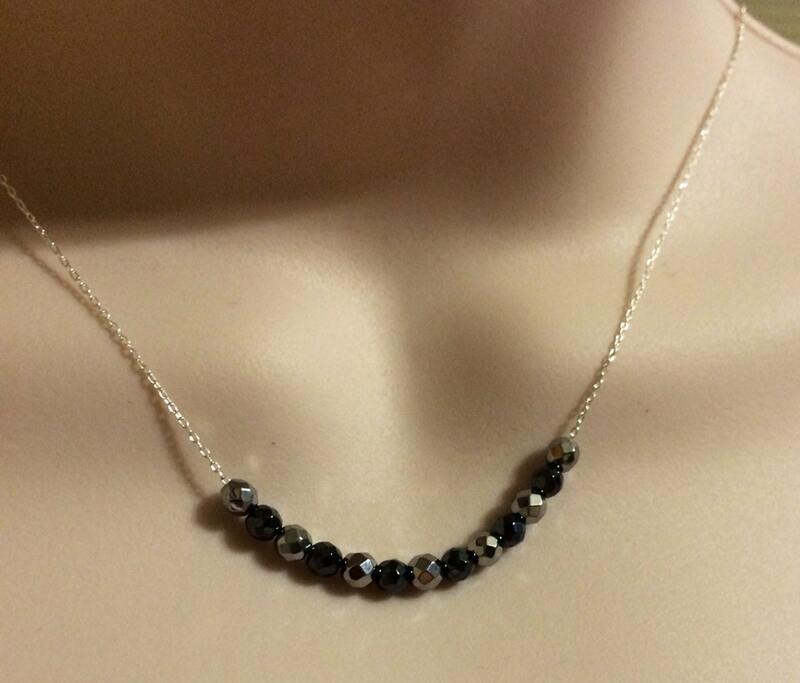 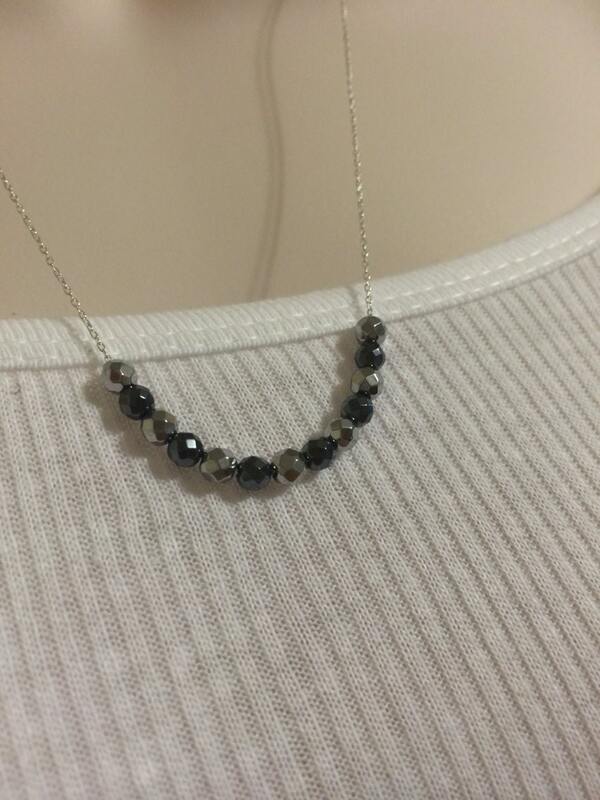 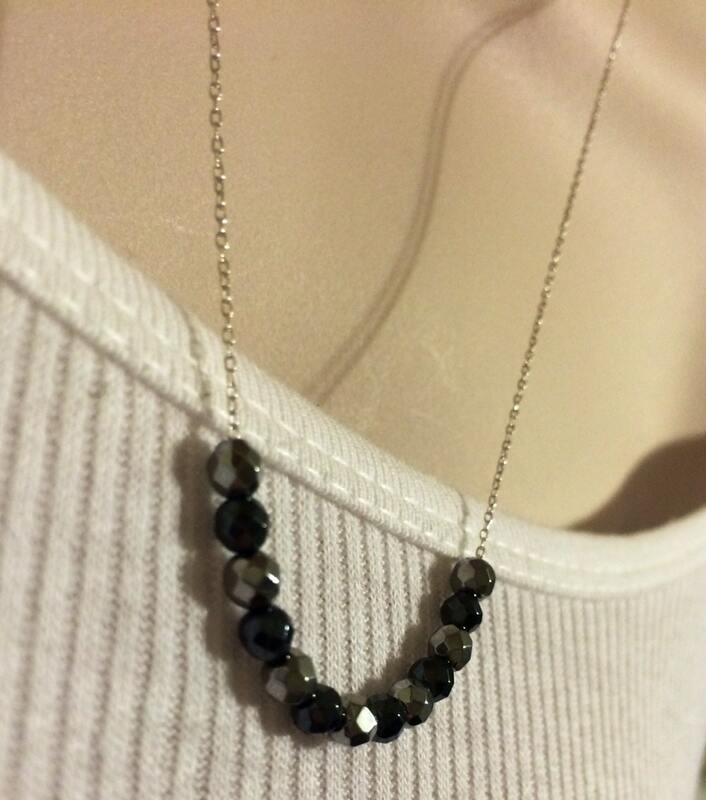 Sterling silver Faceted Black & Silver Hematite slide Bar necklace. 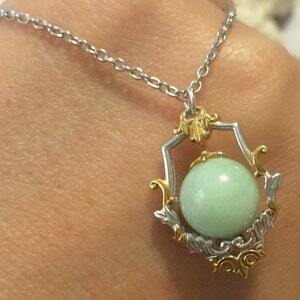 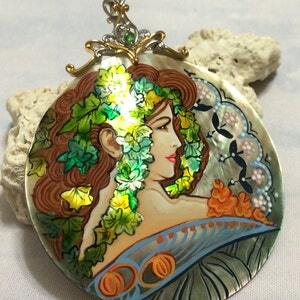 60mm Hand-Painted Mother-of-Pearl "Ivy Lady" & Tsavorite Two tone sterling silver and Palladium Pendant . 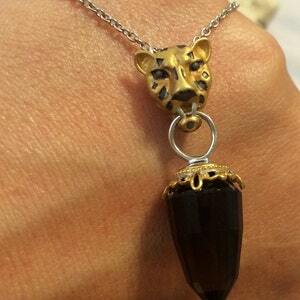 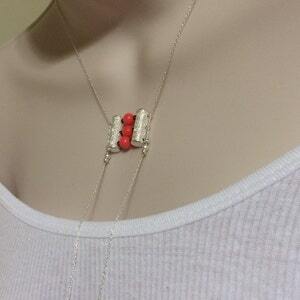 Sterling silver Coral and Garnet Drop necklace.